Ever wondered what it must be like being an explorer? 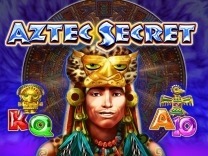 Try out this wonderful slot by Amatic - Book of Aztec.This ancient Aztec themed slot will take you to an adventure which you will never forget. You will get to interact with different artefacts which will payout different amounts of money. 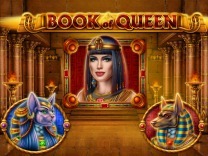 Book of Aztec is a 5-reel, 3-row and 10 payline slot with substituting wilds, scatter symbols and tons of free spins.So be prepared to follow the lady of the day and try your luck in finding her hidden loot. well, this slot offers players a wonderful gameplay. There are different characters which complete this slot. The characters may not be the images of a celebrity or famous object but of a historical nature and this slot delivers just that. There are different artefacts which are displayed representing the Aztec civilization. The visuals are okay and players can spin the reels without having to worry about anything as there is an autostart feature which allows players to play without having to hit the spin button.The graphics are superb and the game loads at a faster rate than most slots. There is no software which is required for you to enjoy the slot, you will only need to have a web browser and an internet connection. This slot is compatible with mobile devices and can be played while on the go.As for the soundtrack which is playing in the background, players are nudged to continue playing while they the music. 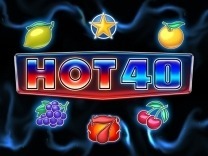 If you are looking for a slot which has historical value, then this is the slot to choose. It is recommended for both novice and veteran players alike. 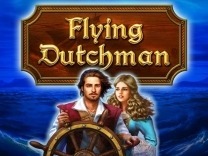 Before you can begin playing this slot, you have to know about the characters which make up the game. This slot offers different characters which make this slot amazing. There are different Aztec related symbols which offer different payouts. The Aztec symbols are the high paying symbols with the highest amount which can be paid out is 5000 coins for matching 5 symbols of the lady explorer. There are also low paying symbols are the general card symbols A, K, Q, J and 10 with the lowest paying amount being 5 coins for matching these symbols 3X.Players have the choice to control the amount of money they wish to wager by clicking the bet button. Players can bet a low amount of 1 credit and a high amount of 50 credits per line. 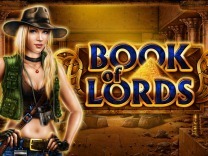 There are 10 bet lines and players can choose the maximum amount of lines. There is also an auto start which you can click to have the game run without interruptions if you do not like clicking the spin button. In Book of Aztec, you will find 10 paylines which will give more opportunities to make winning combinations with each spin. You have to match at least 3 symbols of a kind to receive a payout. 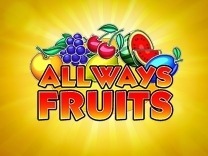 All payouts are paid from the left of the reels to the right.You must watch out for for the lady in the game as she is the best character in this slot. Matching 5 of these symbols will award you a 5000 coin jackpot. Book of Aztec offers a wonderful bonus game which players will be excited to learn about. Book of Aztec gives players a wild symbol which will substitute for all other symbols in the slot. This gives players the chance to make winning combinations with ease.There is a scatter symbol which pays on any position on the reels. 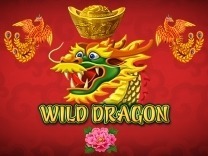 Matching 3 or more book symbols on any position will award you with 10 bonus spins. The bonus spins are played with the same number of bit lines in the initiating game.At the beginning of the bonus spins, there is an expanding symbol which is randomly selected. This can be an excerpt of a book will pay accordingly to the paytable in all active lines no matter if the winning combination is consecutive or not. You can play the bonus spins until you have no bonus spins left. The bonus spins can be re-triggered during the bonus game.